In the kitchen, Lauren chose to create a dramatic contrast by layering Alabama White Marble Countertops over dark blue-grey cabinets. 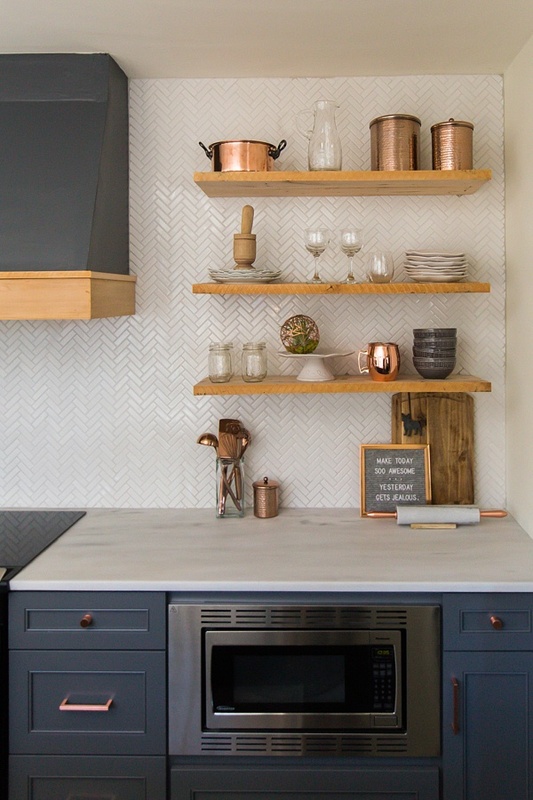 She installed a white herringbone tile backsplash that goes all the way to the ceiling, creating an elegant backdrop for the natural wood shelving and a custom built range hood. 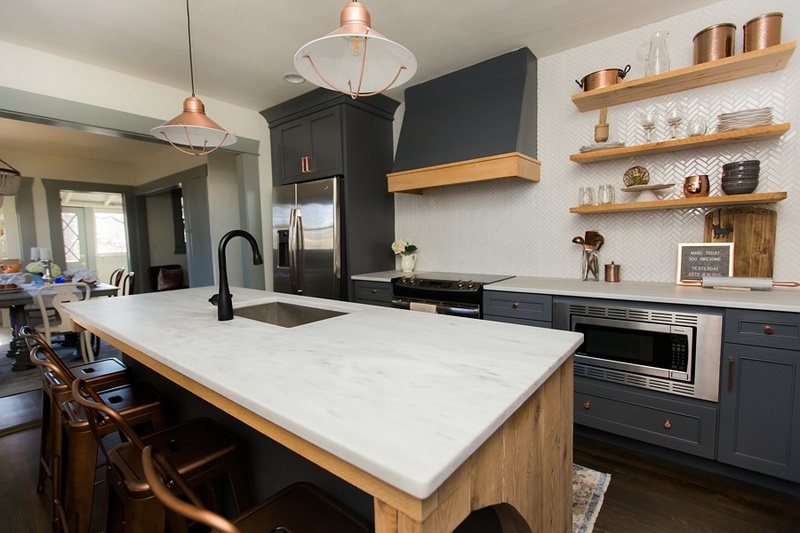 Copper accents and lighting fixtures add flair to the high contrast design, while a natural wood island topped with Alabama White Marble pulls the look together and keeps the room feeling light and bright. Learn more about this project at StyleBlueprint. Article written by Lauren Helmer. Photography by M. Fehr Photography. Countertops by Surface One.